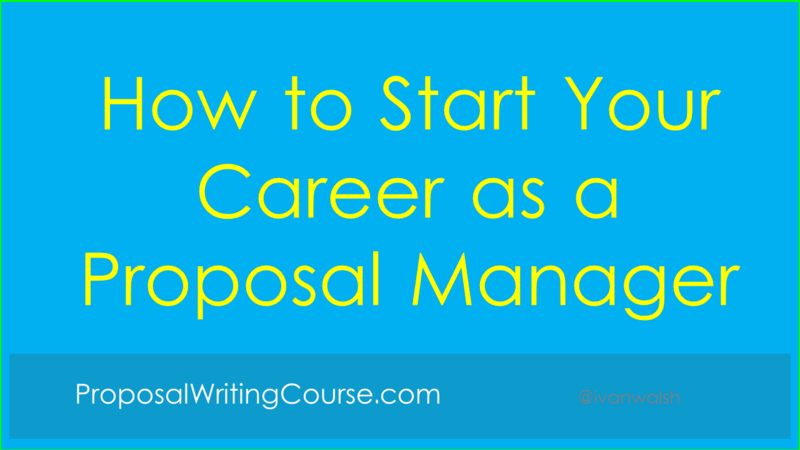 So you’d like to start a career as a Proposal Manager but not sure what’s involved. This role is actively involved across the Proposal development lifecycle. You need good Project Management skills and knowledge of how Request For Proposals are written, evaluated, and awarded. And the pay is very good! If you’d want to know what Proposal Managers (aka Bid Managers) do, then this tutorial will help. This also includes teaming decisions, process refinement, developing bid theme, and making bid/no-bid decisions. The Proposal Manager will also provide status reports and other communications to the project stakeholders.